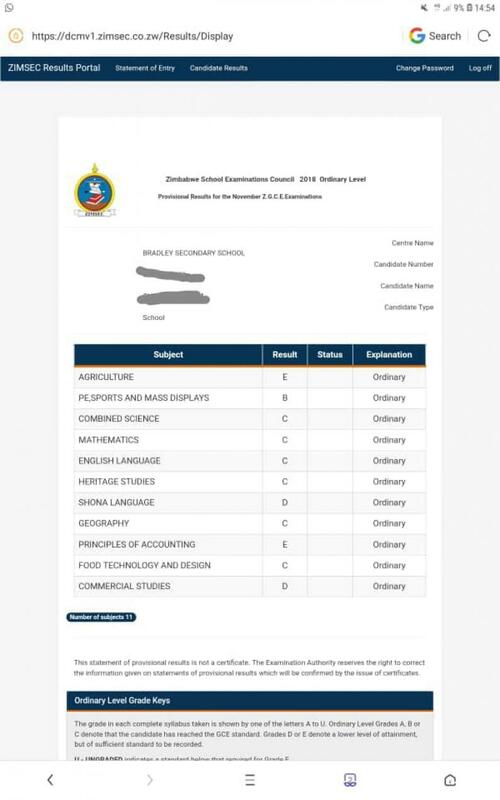 Zimbabwe School Examinations Council Board and Management (ZIMSEC) has introduced an online portal for candidates to access their results. 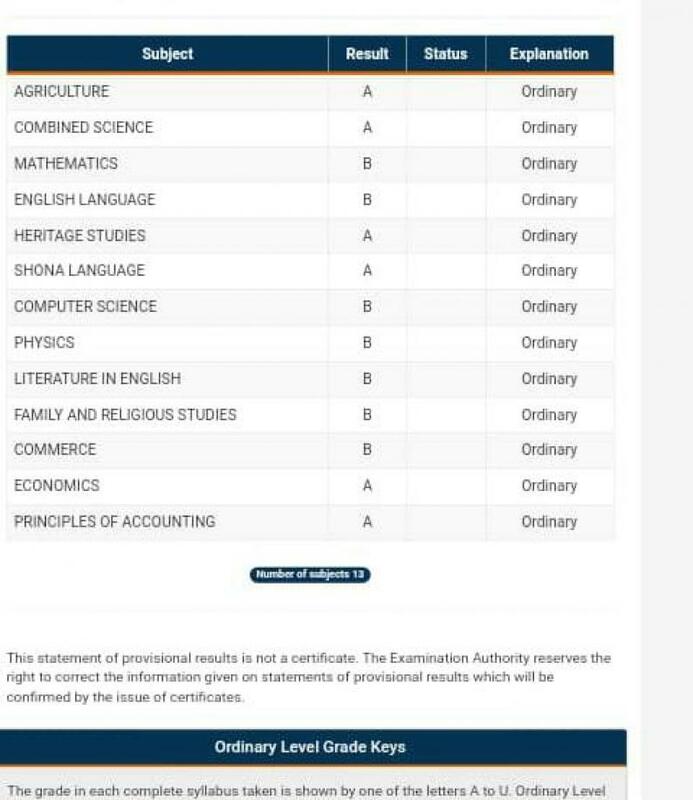 The announcement comes after the release of the November 2018 ZIMSEC Ordinary Level Examination results yesterday. 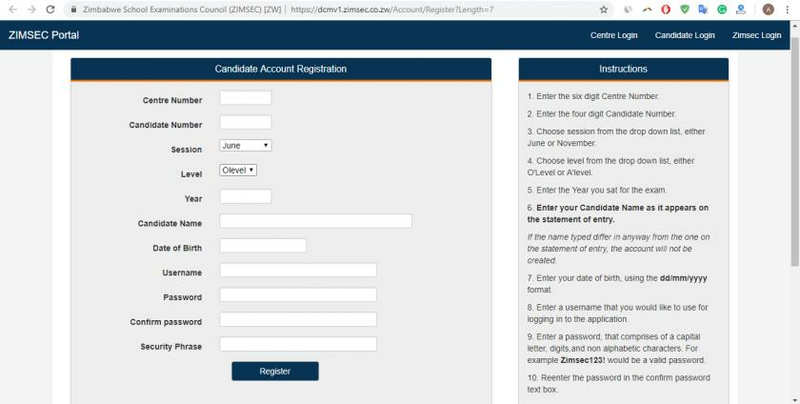 In a press statement released yesterday by Zimsec, any device that has access to internet allows registered candidates to view their results online. "The ZIMSEC Examination Panel can be accessed from any electronic device that supports the Internet. Results on the Portal arc in view only mode, therefore, they cannot be printed," the statement said. "The Results Slip which can only be collected by the candidates from their respective Examination Centres is the official document of ZIMSEC results,"
This portal brings relief to parents and guardians who can immediately plan ahead in light of their children's academic future. The total number of candidates who sat for the November 2018 Ordinary Level examination was 239 441. This is 29.98% less than the candidates who entered for the 2017 November examination session which was 332 473. The rise in the 2017 entry was as a result of a rush by candidates to write the last 0 level examination on the old curriculum. 162 541 candidates sat for 5 or more subjects and of these 50 664 obtained Grade C or better in five or more subjects, yielding a 32.83% which was higher than the 28.7% of 2017 where 162 915 sat for 5 or more subjects. ZIMSEC innovation will no doubt bring relief, however electronic platforms in the education sector do not have a good track record, in particular the constant malfunctioning EMAP that was introduced by the Ministry of Primary and Secondary Education in 2016. >Click "register as a new user"
>When you are done, go back to the homepage where you will enter your newly-created username and password and poom! You will see your results.